If your main goal is to interest relevant readers in your book, then the cover is effective if it attracts your target audience. If your main goal is to create fashion for your book, then the cover is effective if readers appreciate its style. If your main goal is to please your family, then your cover should be geared to them. I will focus on cover design geared toward attracting the target audience. This is what most authors and publishers strive to achieve. 100% of readers see your book’s cover before they open the book. Some won’t open the book unless it looks inviting. Customers see thumbnails in search results. Most covers have just a few seconds to catch the shopper’s attention and appeal to the shopper’s interests. 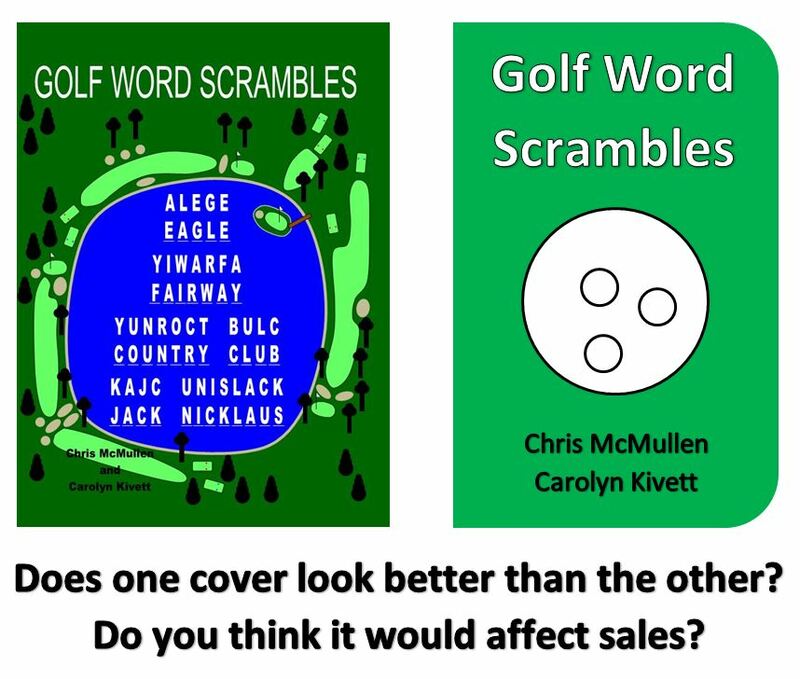 People see your cover in your various marketing endeavors. Your cover is a big part of your branding process. Your cover makes the first impression on a buyer. You only get one chance to make a good first impression. Books are read on airplanes, in trains, on park benches, and left on coffee tables. The cover is a marketing opportunity. A readers will set the book down periodically. A good cover helps to renew interest in the story. It’s not just to grab attention. It needs to appeal to the specific target audience. It needs to clearly signify the genre and content. Three seconds or no deal. The cover must look professional. Buyers expect it to reflect the quality of the content. The text must be easy to read. Key words should be especially clear. The colors need to work well together. Research and study the covers of top-selling books similar to yours, especially those which aren’t selling because of the author’s or publisher’s name recognition. This is what your target audience is accustomed to seeing. When they see covers like these, they ‘know’ (in three seconds) that these books are a good fit. The main image (and cover as a whole) must attract the target audience and signify the genre and content. This image can make or break the sale. If your book has highly marketable content, it’s well worth the extra time or reasonable expense to find the ‘right’ image. Don’t make the cover too busy. One central image sends a quicker, clearer signal. Placing the main image according to the rule of thirds may attract more interest than placing it in the center of the front cover. Many top covers follow the three-color rule: 60% primary, 30% secondary, 10% accent. Study color coordination (there are many free online resources) to find colors that work well together. If designing a paperback cover, note that colors often print much darker than they appear on the screen. Select a font that fits the cover, genre, and content well. The font style plays a more pivotal role than most people realize. Buyers themselves often pass up a book based on font without even realizing it. Get feedback from your target audience. This may also help you create a little buzz for your book. When your cover is finished, remember your main objective. What matters most is whether or not it will attract the target audience. Look at the thumbnail that I included with this post. 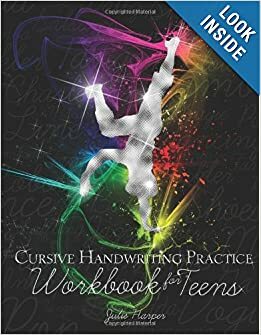 It’s for Cursive Handwriting Practice Workbook for Teens by Julie Harper; the cover was designed by Melissa Stevens (www.theillustratedauthor.net). Let me emphasize that this cover wasn’t designed (that’s my impression) to go against the grain. It was designed to attract the specific target audience. Focus on this element of cover design. It might also break a couple of the ‘rules’ of cover design. Remember, what matters most is how the cover appeals to the target audience and signifies the proper genre and content. Everything else is just a guideline. The consensus among critics is that the author’s name should be relatively small (compared to the title) unless you’re famous. The marketing view says that if the author’s name appears too large on the cover, it will distract the shopper’s attention from more important keywords in the title. If you’re famous, then it’s important to throw your name out there because your name has sales value. The critical view feels that the author’s name should take on a humble role on the cover (i.e. out of the way) if the author doesn’t have name recognition. Do you primarily expect to sell books to family, friends, acquaintances, coworkers, social media followers, and people you interact with personally through marketing? If so, then you do have name recognition with your target audience. Make your name larger for their benefit and disregard the potential critics. Why not? Are you branding your name in your marketing efforts? If you are effective at this, then you want your name to be easily visible (but perhaps not dominating) on the thumbnail image of your cover. Potential customers who recognize your name from your marketing endeavors who see your name in the thumbnail may check out your book. Part of marketing is about creating a perception. If you’re thinking big, then you want to create a big name for yourself. If you’re going all out to try to make it big, then starting out with a big name on your cover might be a good fit. Make that big name for yourself and prove the cover critics wrong. If you’re a nonfiction author with a title (Dr., Ph.D., M.D., etc. ), you may want your qualifications to be visible in the thumbnail image. However, if you don’t have a relevant title and aren’t well-known in your field, it may be better to place emphasis on a few important keywords instead of your name. What is your personality? What fits you? A big name? A small name? Cover image copyright 2013 Melissa Stevens. There are many talented cover designers out there. How do you find a good one at an affordable price? The first step is to find a variety of cover designers to choose from. One way is to simply use a search engine. Another is to browse for book covers you like; some of the professionally designed indie covers and small publisher covers will feature more affordable designers. Interact with the indie author community here at WordPress and over the course of a few months, you’ll discover a variety of cover designers. Charles Yallowitz offered a creative suggestion: Contact a local art department. You may find an art student with graphic design experience looking for such an opportunity. Another option is cover design help through CreateSpace or crowdSPRING, for example. Personal interaction with a single artist provides many benefits, but finding a variety of talent in one place has its own advantage. Finding several designers is easy. The challenge is picking the right one for your book and your budget. You can find premade covers for $10 and up, but chances are that this approach will result in a cover that doesn’t quite fit your book – and ‘not quite’ can make a significant difference. It doesn’t hurt to browse them, though; maybe you’ll get lucky. Or, if it just needs a small change to fit your cover, perhaps the designer will be willing to revise it for a small fee; it doesn’t hurt to ask. It’s possible to find custom cover design for under $100, but many professionally designed covers run from $300 to $1500 (and up). Although I’ve made most of my covers myself, this year I have invested in a few covers at around the $300 price point. I hired Melissa Stevens to design a few covers, and was very pleased both with the process and the results. Visit the cover designer’s website. How professional is it? Explore the artist’s portfolio. Do any of the images or techniques seem to be a good fit for your cover? Check the designer’s previous covers out. Do any of these grab your attention? Do they follow the ‘rules’ of cover design (a good cover may break a rule, but as the author, you need some means of judging)? Find some of these covers on Amazon. If the book is new, look at the sales rank; if the book isn’t new, the reviews may be more revealing of its prior sales rank (since this can change significantly over time). How much do you feel that the cover may have stimulated sales, if at all? Note that books published by top publishers usually only mention the cover designer in small print on the back cover and on the copyright page, and not on the front cover. What do your friends, family, and acquaintances think about the artist’s portfolio and previous covers? Inquire about the artist’s background and experience (unless this information is posted on the website). What techniques does the artist use? Graphic design usually looks much more professional on a cover; even though colored pencils, chalk, or paint can look good hanging on a wall, it usually makes a cover look amateurish. Ask if the artist will use any clipart or stock images, and, if so, ask about copyright issues. You’d hate to invest money in cover design and then get sued for copyright infringement over any of the images used. What use of the cover design will you be granted? This should be stated on the contract. If you have multiple editions (paperback, eBook), you want to clarify this. You probably want to post your cover on your website, may want to solicit feedback about it on your blog, etc. Generally, posting your cover on your websites should be good advertising for the designer, but you want to get permission first. Will the artist display the cover on the artist’s website? This may not generate sales for you, but helps your branding slightly. When the artist features your cover on his/her website, it demonstrates the artist is proud of the cover. You want to know to what extent you will be involved in the process. You may have a vision; even if not, you may still want to suggest revisions throughout the design. Realize that it takes a lot of work to design a cover, and much more work to make multiple revisions. Thus, many artists place a limit on the number of changes you can make for the price paid, and charge extra for additional revisions. You want to have this clarified up front. Before you sign the contract, you’d like to have some idea of what you’re going to get. Perhaps the designer can describe his/her vision for your cover. Even better, request a partial mock-up showing something. How long will the design take? The wise thing is for you to provide ample time for the cover to be made. I don’t believe in rushing art. Personally, I would prefer for the artist to put the idea on hold until the perfect idea comes. How will the payments be arranged? It may be a good compromise for the author to pay a deposit up front and the rest when the cover is delivered; half and half is common. This way, the artist is compensated for his/her time, work, and effort even if the author changes his/her mind (which happens). You want the contract to include a provision for opting out; probably, the deposit (which may be half) will be nonrefundable, but if you’re dissatisfied with the result, you can walk away and not pay the remainder. Note that some cover designers offer contracts and expect a hefty deposit, but not all designers do. This may depend in part on the process. If the designer does much of the work by hand, he/she is more likely to present a contract and expect a hefty deposit; but if the designer works mostly with stock images, he/she may be less formal. You can try to negotiate a little. An artist might take a chance that once you fall in love with one cover, you might use the same artist for many covers. Instead of price, you might ask for something else, like a matching website banner. What I recommend is asking if you can receive a few of the images from the cover to help decorate the inside of your book, or maybe getting a few simple designs to help with the interior décor; such touches can help make the interior of your book (especially, the Look Inside) make a good impression, too. However, some illustrators won’t negotiate on price; but it may not hurt to try. Of course, if you have any legal questions about the contract, you should consult with an attorney. Get feedback from family, friends, acquaintances, and especially members of your target audience at various stages of the cover design. This will help you receive valuable feedback so that you can suggest possible revisions while at the same time helping to create a little buzz for your upcoming book. Communication is very important. The artist is trying to carry out your vision, but can’t see inside your head. You must communicate your ideas clearly with the artist. Don’t be afraid to voice your opinion. Be honest. If there is something you don’t like, say so. Don’t fear hurting the artist’s feelings. (Well, have some tact. Don’t say, “That stinks.” Try something like, “I was hoping that image could look a little more…,” or, “I’m not a big fan of that…” Also, take the time to make encouraging and supportive remarks about the elements that you do like.) Communication and honesty are the keys to helping the artist pull of your vision. There is one more thing to keep in mind: While it’s your cover, the artist wants to be happy with the cover design, too. If the author insists on some cover design element that the artist feels makes the cover look unprofessional, the artist may not want to showcase the cover on his/her website and may not want to have his/her name mentioned as the cover designer. Finally, behave professionally in your interactions with potential cover designers. Your author image is a very important part of your branding. The cover makes it clear which genre the book belongs to. If your cover design fails to meet this goal, then most of the people who click on your book probably won’t be buying it. The cover grabs the attention of your target audience. Not just making the genre clear, but attracting the target audience’s attention. It’s also desirable for the title font to be clear in the cover. You can find various ‘rules’ of cover design and mistakes to avoid (for example, in the link below), and see if the ‘final’ cover meets this criteria (if not, at least have a good reason for not doing so). Ensure that the product is better than what you could have done yourself (unless you happen to have all the skills, but just didn’t want to invest the time). Let me credit Melissa Stevens for reading my draft of this blog post and offering a few suggestions. She mentioned the importance of honesty from the author, the idea that communication between the author and artist is the key to successful cover design, and the point about cover designers who work primarily with stock images. The cover figures in this post were used by permission of Melissa Stevens. Which is more important – the content or the cover? Yeah, yeah, you’d rather read a great book with a lousy cover than a lousy book with an incredible cover. But that’s not the choice buyers face. Buyers see tens of millions of books to choose from. Tens of thousands of them are good books with fantastic covers. If nobody discovers your book, the content won’t matter at all. Maybe you think the content is so good that once a few people read it, word will spread. Then you have another problem to consider. There are thousands of excellent books, and many of them have fantastic covers. Why should your book sell as well as those other excellent books that also have great covers? Credibility, for one. If it doesn’t look like much time and effort were put into the cover, why should readers expect that such time and effort were put into the content? Reviews might suggest that the book is good, but the cover might reflect a lack of effort. A poor cover casts doubt in the buyer’s mind. Recommendations, for another. Many people are more likely to recommend a book that looks good. And a host of other reasons (see below). I’m happy to help other authors strive to improve their books. When new authors approach me for help, the most common question I receive is, “How can I improve my book?” Most of the time, my answer involves revising the cover. Not all of my own covers are perfect. It’s easier to criticize a cover than it is to perfect a cover; there are numerous pitfalls to avoid during cover design. And it’s not always worth investing in a great cover. There is also the issue of cost versus benefit. Let’s first examine the benefits, and then return to the issue of cost. Grabbing attention. People can’t read books that they don’t discover. Your thumbnail is one of dozens on pages of search results. Get your book noticed with a great cover. Shows effort. 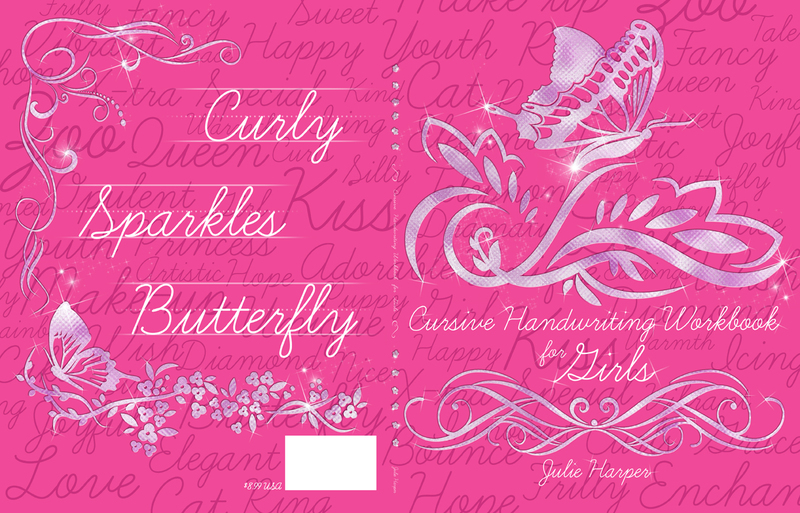 Customers believe that a book is more likely to be professional inside when the cover looks professional. Proper packaging. The cover has to look like it belongs in that genre. Otherwise, the people attracted to the cover aren’t buying the book, which means no sales. This is one of the most common sales deterrents among self-published books. Fashion is important. The reader wants a book that he or she can see him- or herself holding in his or her hands. Does your cover appeal to your target audience? People don’t wear shirts that don’t appeal to them, and they also tend not to buy books that don’t appeal to their sense of style. Review potential. Blog reviewers, newspapers, etc. are more likely to show interest in reviewing your book, interviewing you, or announcing promotions or events if the book looks professional. They certainly don’t want to feature a lousy cover on their websites, in their papers, etc. Visual reminder. Once people buy your book, it might just sit on a table, shelf, or Kindle for a while. Every time they see your book, a great cover helps to renew their interest in reading it. This improves the chances that it will get read, and may help to speed things up a bit. The more people who read your book, the better the prospects for reviews, referrals, etc. Art. It’s not just the content that matters. People also love art for art’s sake. People buy prints of artwork or photos that they like. If your cover art is appealing, the cover has its own merit. Coffee table books are decorative and also make for conversation pieces. A great cover serves a similar purpose when people are reading your book in public, like on a bus ride. Judgment. Maybe people shouldn’t judge books by their covers, but people do. A great cover is sample of what to expect. It’s a small demonstration of what kind of effort the author (or publisher) is capable of expending. Mood. A fantastic cover helps put the reader in a good frame of mind when beginning your book. A reader who starts out with a positive outlook is more likely to enjoy the book. A reader who is doubtful that the book will turn out to be good is constantly looking for details to criticize. This way, a cover can actually influence reviews, on average. You. The cover isn’t just to help sales and fit the reader. It’s also about you. You need to be happy with your cover. It’s your book, so you should love your own cover. Put a great cover on the book for you. It has to suit your style. The cover, including how professional it looks, reflects on the author. Although a great cover carries many potential benefits, it may not be cost-effective. A fantastic cover doesn’t guarantee a single sale. But a lousy cover definitely deters sales. You must weigh the benefits against the costs. Some authors are able to buy nice covers for $100 or less. But you can also find covers for $1000 and up. You have to shop around and shop wisely to get a great cover at an affordable price. There is no guarantee that spending money will result in a great cover. Unfortunately, some authors invest money in covers and the result is poor. And sometimes the author and cover designer don’t realize what’s wrong. Sometimes, the problem is subtle, but a big sales deterrent. There are many possible pitfalls that one must avoid in cover design. Spending $1000 on a cover may not result in a better cover than spending $300. It may, and it may not. You have to shop wisely to improve your chances. You also have to decide what you can afford, assess your book’s prospects for recovering the investment, and spend time shopping for help in your price range. A premade cover isn’t likely to be a good fit for your book. You may be able to design a good cover yourself, but then you must single-handedly avoid those aforementioned pitfalls. (I’ll outline these in a separate post, and I also have a post coming in the future regarding how to find a capable cover designer.) You can find stock images, yet it’s still a challenge to put everything together professionally. If you have experience with graphic design, Photoshop, or visual marketing, these may help. A major problem is the author who gets an idea for a cover and insists on sticking to this idea no matter how poorly the result turns out. Wise cover designers scrap the ideas that don’t pan out well, and start over with something else. Once you determine what it would cost to make a great cover, you must weigh that against the benefits. There isn’t an audience for your book. You have to research this beforehand. The book isn’t good. This will show in critical reviews, affect word-of-mouth referrals, etc. How much do you believe in your book? Have you received feedback from neutral members of your target audience? Your book doesn’t fit into an existing category. Effective marketing can help people find your book. But if they don’t find your book, the cover isn’t going to help. The book will sell because it provides nonfiction expertise that people are looking for. If, for example, the book says Calculus Workbook in large letters in the thumbnail, the cover doesn’t have to be fancy to be effective. But, on second thought, there are also many calculus workbooks on the market. If two technical books are otherwise equal in merit, the one with the better cover will win. You expect to sell most of the books in person following presentations, and almost none otherwise. If you tour the country giving seminars, for example, this could be the case. Still, the cover has to appeal to the customer when you put the book in his or her hands. This can impact the impulsive decision to buy it now. And if people might also buy your book online, the cover becomes more important. It’s not the first book in a series. The first book is the most important; that’s the one that hooks the reader. But the second book also has to appeal to the reader, so the cover is still important. And the covers all need to match. So it might still be worth the investment. It really comes down to how much you believe in your book. If you have a lousy cover, you’ll always wonder how well it might have sold with a great cover. If you have a great cover, you’ll have the satisfaction of knowing that you gave your book the best chance of success (at least, as far as cover choices are concerned). A good book with a fantastic cover and killer blurb has very good potential for at least mild success. Especially, if there is an audience for it who will be able to discover it. But a fantastic cover isn’t going to achieve long-term success for a lousy book. If you believe you have a good book, take a chance on it. You are anyway, just by getting it out there, so why not go all out and give it a great cover, too? My own covers may not be the best examples. What I mean by this is that my better selling books have relatively plain covers, and the books with the better covers that I’m most fond of aren’t among my better sellers. But there is a reason for this. First, I write nonfiction. There is a need for my math and science books, and many sell for my expertise. It’s much easier to make an ‘image’ for an algebra workbook, for example, than for a science fiction novel, and the image (just an equation, in my case) is far less important for the algebra workbook. If you write technical nonfiction, putting together a satisfactory cover is easier to do yourself, and can be much less critical. My nicer covers are not on books for which there is as much need (and I didn’t compensate with loads of marketing; I do marketing, just not for all of my books). Well, some seasons the need is greater than others. Workbooks tends to sell better in January and June, for example, while it’s always interesting to sell a Christmas book in July. I have sought cover design help recently. I enjoy designing my own covers, but I have also realized that the right designer can produce eye-catching visual effects that I wouldn’t have been able to create on my own. It’s worth seeing what you can achieve by yourself to help you see if a potential designer is improving on what you can do, and to what extent. It’s also worth shopping around even if you’re set on doing it yourself, to see and understand any limitations that your own design skills may have. Covers tend to be very important for fictional works. Not all fictional works, but especially novels where there is an audience that can discover it (zombies, romance, mystery – sure, some genres have more competition among books, but this is compensated for by having more readers), and where the book is pretty good. A great cover can’t compensate for a lousy book, but it can really help a great, complete, well-written (and formatted), and nicely characterized story. Do these covers look like they belong in this genre? Do they follow the ‘rules’ of cover design? Do you find them appealing? Are there any top sellers that don’t have big-name authors or publishers? If so, a little research might give you ideas that they used to become successful. Can you spot important distinctions between different types of books? Like teen romance, clean romance, not-so-clean romance, historical romance, and erotica. If you can see these differences, that will help you design a book that attracts your specific target audience. If you fail to achieve such specific packaging, it can be a huge sales deterrent. Studying the covers of top sellers in your genre will help you understand what your prospective readers tend to expect when browsing for thumbnails. First of all, some colors complement one another well while some colors clash. For example, blue and yellow usually provide nice contrast next to one another, but orange and red beside one another are hard to distinguish. Text absolutely needs to contrast well with anything that is behind it. When text clashes with any part of the background, the result is illegible, especially in the thumbnail. For example, imagine navy blue text on a brown background. Colors that don’t contrast well can appear beside one another in images, but not when one part of the image needs to stand out against an adjacent part. For example, if a girl is eating a red apple, the apple should clearly stand out, so there shouldn’t be colors that clash with red adjacent to the apple. Two exceptions are color blends, like a gradient from pink to red, or accents. Blends and accents can have colors that don’t contrast near one another. A fiery picture may include blends of red and orange, for example. 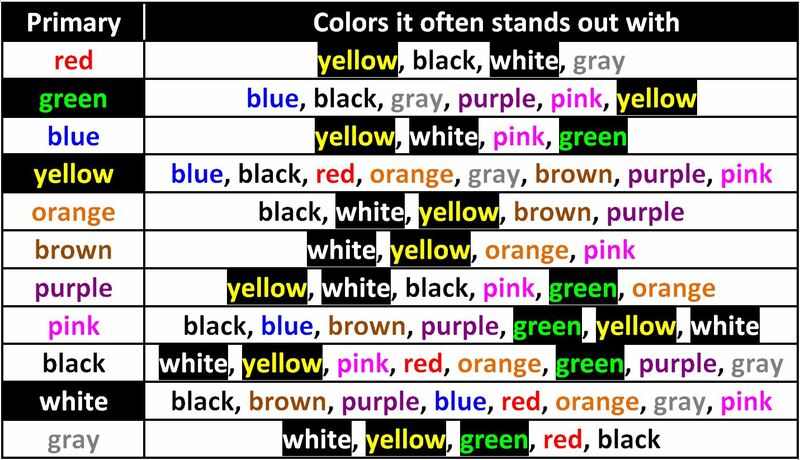 Bear in mind that there are differences in hues, tints, shades, and tones. Not all reds look the same. So while red often contrasts well with black, there are many variations of red and black that don’t contrast well. A dark red doesn’t contrast well with black, for example. Will purple and pink contrast well? It all depends on which purple and which pink you’re talking about. Another issue is how many colors to use. A good rule of thumb is to use three main colors. If the central image is a photo with several colors, the three-color rule might not seem feasible, but often the photo will have two or three main colors. If there is a main image, the other colors need to coordinate well with this. Three colors won’t all contrast well with one another. 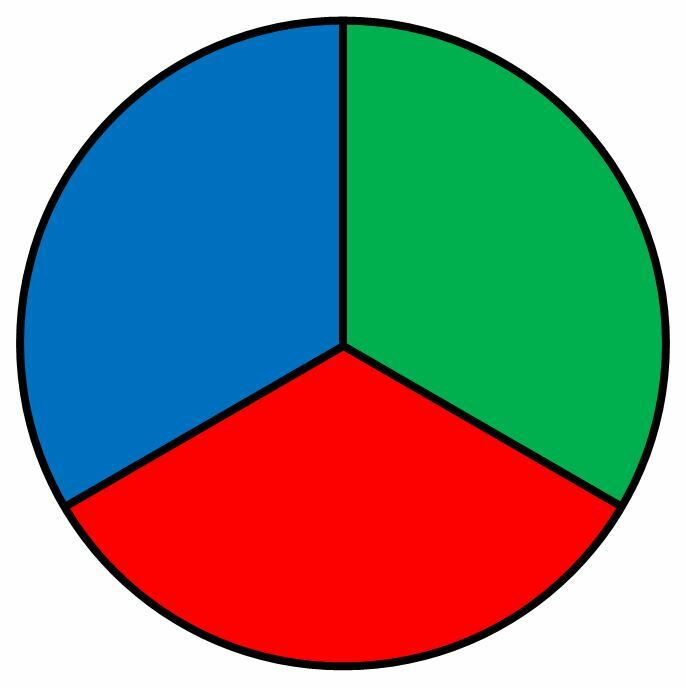 The primary and secondary colors should provide excellent contrast, while the third color should be an accent that complements either the primary or secondary color. Different tints and shades of these three colors can be used when the design requires additional colors. Black, white, and red can work well with one another. But, again, it all depends on which hues, tints, shades, and tones are used. Many other combinations can work well, if done right, like purple, yellow, and pink. There are several free design programs available online that help you choose sets of colors and see how well they work together. How much of each color should you use? Another good rule of thumb is 60% for the primary, 30% for the secondary, and 10% for the accent. It’s not just a matter of finding three colors that work well together. For one, the use of color helps readers who are browsing through thumbnails find the types of books that they are looking for. Red is more likely to attract romance readers, for example. Pink is common among feminine books. A cover is ineffective when it attracts the wrong audience. Color is not just aesthetic, it’s powerful. 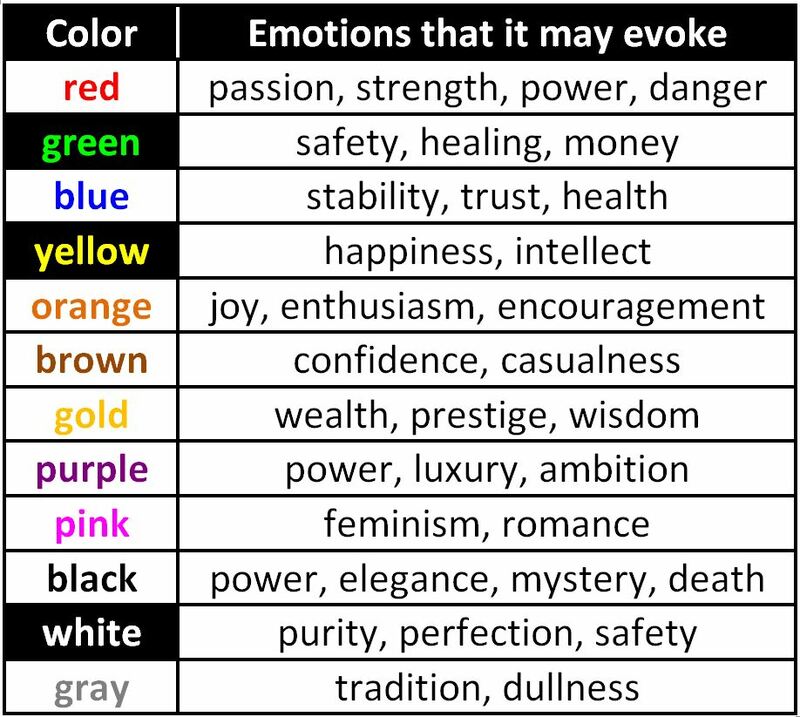 Colors evoke emotion. For example, blue symbolizes trust, so many financial books feature a deep blue, while yellow is associated with happiness or intellect. Use colors that fit the content. Colors can even have specific effects. When red is used against a background that it contrasts well with, it may help stand out and call attention to the book. Green is a relaxing color. Use blue for knowledge, white for simplicity, purple for luxury, gold for prestige, and navy blue for cheap. Bright thumbnails tend to stand out better in search results. Yellows and oranges work well as highlighters against dark backgrounds. Check that your color scheme agrees with the audience that you’re trying to attract. Don’t use pink or yellow for masculinity, for example. Note that there is also a difference between the cmyk (cyan, magenta, yellow, black) color subtraction scheme used to print a cover and the rgb (reg, green, blue) color addition scheme used to produce an image on the monitor. If you’re designing a paperback cover, the printed cover will probably look significantly darker than what you see on the monitor, and colors that work well on the screen may not look well in print. Out-of-gamut colors are likely to look much different. Solid regions of one color may not look smooth. The best thing is to print a few tests before putting too much effort and commitment into the cover (keeping in mind that any single printing may suffer from possible variations, as 100 printed covers won’t all look identical). People pictured on the book cover. Author photos online and in the book. Interacting with people in the target audience. Body gestures go hand-in-hand with the facial expression, even in still photos. A simple, subtle thing like a facial expression can make the difference between an amazing cover that attracts attention and a lousy cover that gets passed by. I’ve seen covers with eye-catching colors, amazing imagery, interesting fonts, and did everything right except for the facial expression. Unfortunately, the facial expression can be quite influential. Would the following facial expressions compel you to buy a book that you discovered? Blank expressions make prospective buyers feel dull and lifeless. Is that what the book will be like? Lack of emotion makes the model seem bored. The model wasn’t too interested in the book, huh? If the displayed emotion doesn’t fit the theme, it can have an adverse impact on sales. The right facial expression can put the potential reader in a good mood. Many shoppers are impulsive to the point that the right facial expression can actually help to inspire sales; whereas the wrong expression can greatly deter sales. Even an expression that usually puts people in a good mood is poorly suited if the writing is horror. Everything has to fit. The expression has to match the content. For example, a model would have a different expression for historical romance than romantic comedy. Remember, gestures are just as important as facial expressions. The pose has to look realistic. It shouldn’t look like the model is posing for a family picture. For an action book, it should look like an action shot; but it has to look real. The pose has to fit the genre; an action shot won’t look appropriate on many other kinds of books. Study the facial expressions, poses, and gestures of the models on top selling books in the genre that have highly attractive covers. Get plenty of honest feedback about the cover prior to publishing. Think about this: If a girl is dressed up like a barbarian in combat, does it look better if she is smiling flirtatiously at the audience or if she looks like she is focused on the battle? 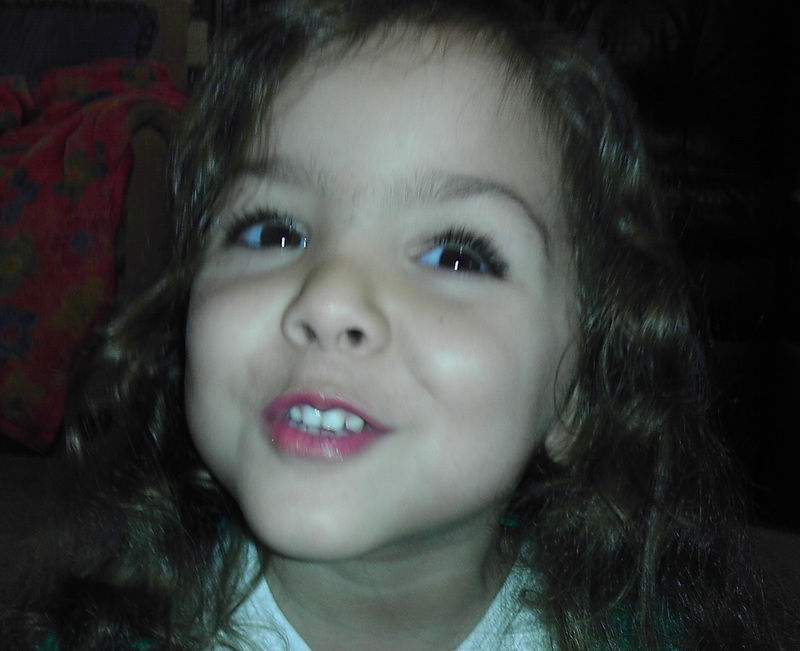 Should she have bright red lipstick on her lips and a clean face, or should she appear battle-scarred? Many authors include their photos on their books’ Amazon detail pages. They may also appear on their blogs, social media sites, and an About the Author section inside the book itself. Just like front cover characters, the facial expression and gestures are important on the author’s photo. These help convey whether or not the author should be taken seriously, and seems like someone who could write such a book. A professional looking author photo helps to send the message that the author is, in fact, professional. The photo can convey a sense of personality, but only if it fits the kind of writing that the author sells. Would you feel compelled to buy a book from an author who looks bored or disinterested? Potential readers can meet authors at book readings and signings. Anytime authors interact with people who might read their books, their facial expressions and gestures can influence sales. When people from the target audience sense an author’s passion, knowledgeability, devotion, preparation, and genuine interest in them (i.e. they feel special), such things impact sales. Just like great characters can sell books, authors’ personalities can also help to encourage or discourage sales. The personality also needs to fit the writing. Imagine an actor or actress who is so passionate about a part that he or she is playing that it carries over to his or her interactions with friends, family, and acquaintances. Similarly, an author’s passion for his or her own book can carry over this way, showing through facial expressions and gestures. The self-publishing revolution has brought forth a generation of cover art critics. It seems that there are many more cover art critics than there are art critics. To be fair, they also criticize traditionally published covers, and a few of the best covers out there are actually on self-published books. However, the reality is that the vast majority of lousy covers are on self-published books. Anyone can be a cover art critic. No talent for cover design is needed to form an opinion. But that’s the point. Don’t create a cover to satisfy the critics. Instead, create a cover that will please potential readers. Back to the point: All potential readers are cover art critics! Complaints that are common among the cover art critics tend to deter sales because many readers feel the same way. (1) Can’t tell what the book is about! (3) Colors don’t work well together! (5) Used crayons or colored pencils! (7) Used Comic Sans for font! (8) Aspect ratio is distorted! (9) Illustrator’s name appears on a lousy cover! (10) Image appears blurry or pixelated! (11) Cover is too busy! (13) Hard to read fonts! (14) Wrong words emphasized in title! (15) Three different fonts used! (16) Images have nothing in common! (17) Settled for image that doesn’t quite work! (18) Doesn’t look good both full-size and as thumbnail! People do judge books by their covers. As they should! At least to the extent that buying a book where the author or publisher didn’t put much effort into the cover is a risk: If little effort was put into the cover, there isn’t any reason to expect that greater effort was put into writing, editing, and formatting. The cover is a marketing tool. Customers do browse for books in search results and click on thumbnails that interest them. Trying to avoid common cover design mistakes may pay off. It’s challenging to design a perfect cover, and any cover – no matter how good – can still be criticized. It’s much easier to find fault in a cover than to make a cover without fault. (No wonder there are more cover art critics than there are great covers.) But the cover is very important, so striving to design a great cover is worth the effort. A growing number of indie covers are featuring mannequins. Is this good or bad? It’s a challenge to design a great cover. Indie authors don’t have the luxury of a cover design team or much money to invest in professional help, yet covers can be very important for the success of a book. Thus, many authors who are inexperienced artists are suddenly faced with the task of putting a great image together for the thumbnail and front cover. Anything hand-drawn is deemed fit for a refrigerator, but not for a book. Any photo in the foreground of a nice background is deemed a photobomber. Highly detailed artwork is said to make the cover too busy. Deformities in fingers, hands, limbs, or faces are ridiculed. When the aspect ratio is tweaked slightly to fit the cover, it’s cursed for distortion. If a person happens to strike an odd pose, even this is pointed out. The photos must be cleaned up and professional, else the technique will be criticized. 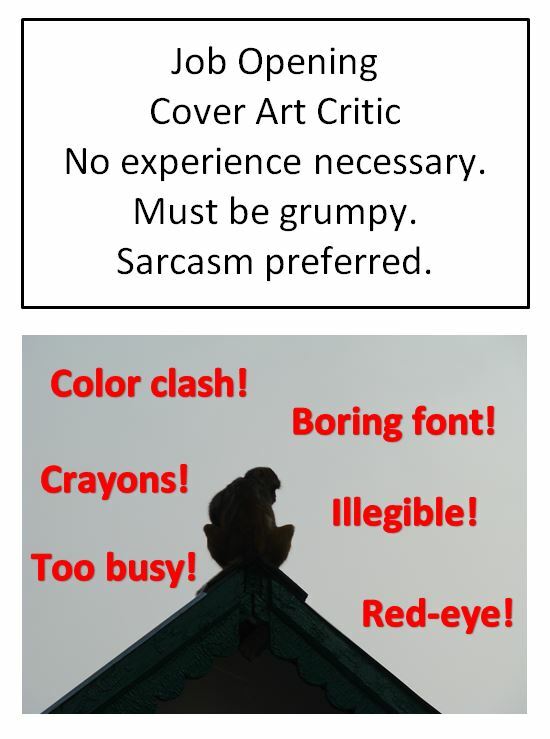 Indie authors are supposed to know to use just three colors in a ratio of 60-30-10. Colors must work well together, with the title large and easy to read. You also need to watch out for the font police, who can be very picky. But if the images don’t relate to the content, that’s a serious violation. Drawings pose an instant problem. Taking your own photos requires professional skill. There are many stock photos available, but not always in the pose or colors that you want. To top this off, you must find images that signify the genre and relate to the content. So what’s the solution? Maybe this is why more indies are featuring mannequins on their covers. It’s much easier to manipulate a mannequin with a graphic arts program. They are easy to adjust, clothe, maneuver, touch up, and preserve proper shape and size. Some of these mannequin covers are very well done, so much so that I didn’t realize that they were mannequins at first. But now I see the cover art critics blasting indie covers that feature mannequins. For example, are there mannequins on the cover because it’s a romance between mannequins? I actually hired an illustrator to design a cover for an upcoming fictional book, for which I was completely stumped on the cover. The result looks great, but the main image does look a little like a mannequin. I’m going to keep it, for better or for worse. The book cover is the only part of an indie author’s marketing campaign that every potential buyer has to see before purchasing the book. No wonder cover design is critical toward having a highly successful book. Text is hard to read. It seems intuitive to look for a fancy font, but the purpose of the text is to send a clear message. Rather than struggle to make out what the title or other text says, the prospective reader is more likely to look for a different cover that makes this task easy. Some text, like Comic Sans, even tends to evoke negative reactions from readers. Research which fonts are appropriate for cover design and for your genre. Wikipedia even provides statistics for how readers react to various fonts. Poor image quality. Blurry, jagged, and pixelated images are quite common. So are tiny stray marks around text and images. Find sharp, focused images and clean up any quality issues to make the best impression. Photos should be touched up (e.g. no red-eye), well-lit, and precisely cropped. Use images with sufficient resolution (300 DPI for printed covers). Don’t distort the aspect ratio by changing the shape of an image (models with stretched out faces, for example, don’t sell books). If the cover image or text is poor, people will wonder if the content also has quality issues. Customers looking for professional content prefer professional-looking covers. Emphasizing the wrong words in a title. It should seem logical to emphasize – through larger text or some text effects – a few key words in the title, which relate to the text. Yet it’s a common mistake to make short, meaningless words (like “the”) larger and long, meaningful words smaller – simply because the longer words had to be smaller in order to fit on the cover. But the most important words need to be the largest. The title must be larger than the subtitle. 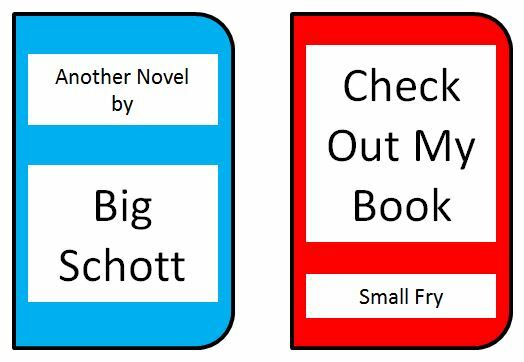 The author should be smaller than the title or subtitle – it’s just a minor ingredient to the cover (except for celebrities and popular authors). If there are several words in the title (bestsellers often have three or fewer), emphasize a few key words over the other words in the title. The cover is too busy. It’s intuitive for indie authors and illustrators alike to feel the need to fill every void on a piece of paper. Especially, artists who have a gift for artistic detail want to show this talent off. But a great cover isn’t about the art itself. It’s about grabbing attention and conveying an idea – this book is about that. One image and a few words can convey this image effectively. Extra images distract the reader from the central concept, and require the customer to invest more time and effort to determine what your book is about. Look, there are thousands of books to choose from and customers are browsing through hundreds – they are likely to pass on those that don’t send a clear, quick signal. Poor color choices. A great cover often utilizes three main colors. A primary color (60%) will create good contrast with a secondary color (30%), and include an accent color (10%) which complements either the primary or secondary. The two main colors shouldn’t clash; all three colors should coordinate well together. The text color and main image should stand out very well against the background. Something looks unnatural or out of place. It’s a common mistake to place an extra image in a cover that just doesn’t seem to belong there. The indie author is trying to add an additional image that relates to the content, without realizing that the distraction isn’t worth this. An image in the foreground that ruins an otherwise nice cover is said to be photobombing the cover. Look out for potential photobombs. Use of a transparent foreground image can also result in a distracting background object. For example, if a small image in the background happens to be inside the head of a model in the foreground, this will ruin the cover. Text arranged in a way that is difficult to read. It’s not easy to read text that is arranged vertically – either one word above another or, even worse, one letter above another. At the very least, don’t create special effects like this for every word in the title. When customers are browsing through hundreds of covers, they tend to skip the ones that don’t send quick, clear messages. Hand drawings that aren’t expertly done. Crayon and colored pencils create a poor impression. Even handmade art that is fairly well done has a tough time competing against the amazing possibilities of graphic arts. It’s a much greater challenge to make a cover appear professional when images are made by hand. Let the customers see any slight fault in the cover and you’ve given them a reason to pass on the book. Title and cover don’t relate to the content or genre. If the cover attracts the wrong audience, nobody will purchase the book. The cover and title both need to signify the precise audience (e.g. adult romance should not be confused with erotica or young adult romance), and should relate to the content of the book. Research the covers of top-selling books in your genre to see what those readers are accustomed to seeing. Which cover designs, color schemes, and font styles tend to work well in this genre?